on offer for an extremely limited time. I'm so excited for these polishes. Sign up here so that you can purchase them as soon as they are available. In the past, Chanel polishes have been a hit or miss with me. I've bought Rose Confidential and it lasted at least a week on my fingers and toes. However, Morning Rose, another Chanel polish, didn't make it past the second day before it started chipping. So I'm not going to write off Chanel polishes just yet. 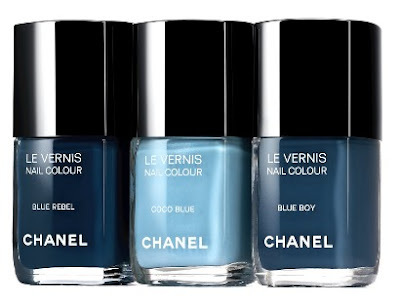 Check back when I do a full review on the LES JEANS DE CHANEL polishes.